Italy coach Nick Mallett has picked his strongest possible XV to play the All Blacks this Saturday after making eight changes to the side that lost to Australia last weekend. Fly-half Craig Gower and fullback Luke McLean keep their places as does scrum-half Tito Tebaldi, while New Zealand-born wing Kaine Robertson returns for the fixture at AMI Stadium in Christchurch. Mirco Bergamasco comes back into the midfield after being rested last week but the bulk of the changes take place in the pack with his brother, Mauro, starting at openside. 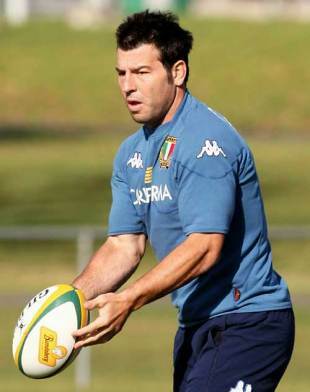 Lock Marco Bortolami and captain Sergio Parisse are the only forwards kept in the side from the Melbourne game with Salvatore Perugini, Leonardo Ghiraldini and Ignacio Rouyet forming a new front-row combination. Quintin Geldenhuys will partner Bortolami with the back-row completed by Alessandro Zanni.